Scandinavian crime writing at its best from the creators of hit television shows, Wallander and The Bridge. As a heatwave blazes in Stockholm, a series of women are found brutally murdered and the Criminal Investigation Department is getting nowhere. The murders bear all the hallmarks of Edward Hinde, the serial killer jailed by psychological profiler Sebastian Bergman fifteen years earlier. Sebastian desperately needs some order in his chaotic life. The revelation that he has a daughter, Vanja, could provide this longed-for stability. But should he tell her the truth and risk destroying her life and career? 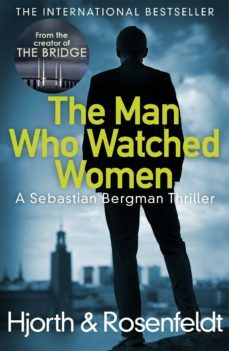 Forcing his way into the investigation, Sebastian soon learns that the murders are connected to him and that no one around him is safe. Including Vanja.